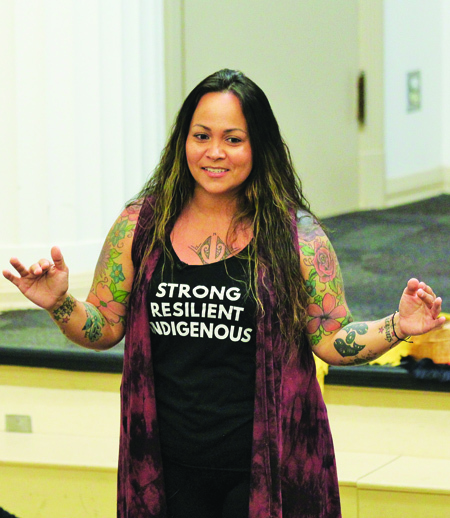 Roger Fernandes, of the Lower Elwha S’Klallam Tribe in Washington State, was on Guam this past week at the GOPEACE Conference held by the Guam Behavioral Health and Wellness Center. Roger Fernandes, of the Lower Elwha S’Klallam Tribe in Washington State, was in Guam this past week at the GOPEACE Conference held by the Guam Behavioral Health and Wellness Center. 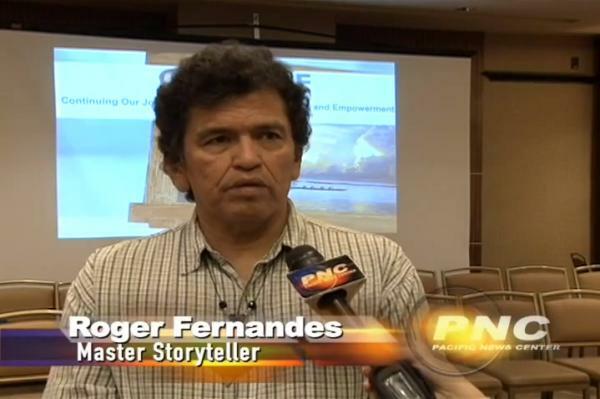 Fernandes is a master storyteller, and he told the Pacific News Center that his goal is to communicate through storytelling, which he believes is more effective than simply giving people statistics. The two-day conference was held August 13 and 14 at the Westin Resort on Guam. 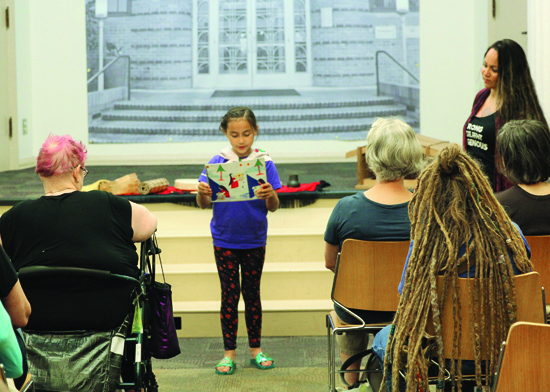 Nonprofits and volunteers listened to storytellers then broke into groups to discuss what they learned. According to PNC, the objective is to go back to their organizations and use what they learn to empower their communities. Check out all the exciting events scheduled for the month of March at the Hibulb Cultural Center! 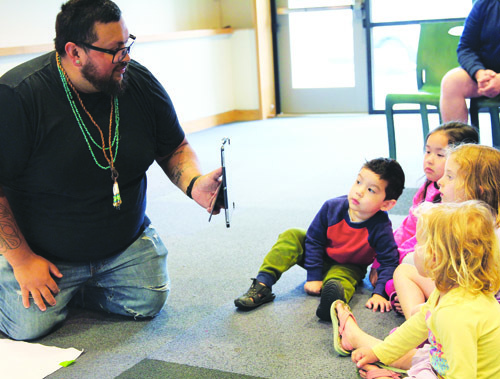 WASHINGTON – Join the Smithsonian’s National Museum of the American Indian in celebrating its fourth annual Living Earth Festival Friday, July 19, through Sunday, July 21. 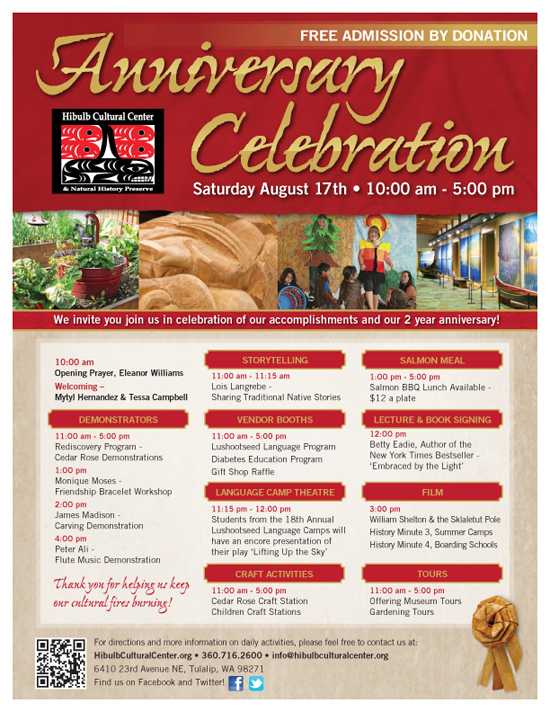 This year’s festival features live music and dance performances, a Native cooking competition, a film screening, hands on crafts and storytelling for families, an outdoor farmers’ market with local produce and game, a discussion of tribal environmental activism, as well as beading demonstrations and workshops on cheese making and sculpture. On Saturday at 5:00 pm, this concert in the Potomac Atrium will feature the talents of Quetzal Guerrero, a Latin soul singer, violinist, guitarist, and percussionist, She King, an indie rock outfit from Toronto fronted by Six Nations vocalist Shawnee Talbot, and a performance by GRAMMY award winning artist Ozomatli, a “culture mashing” group whose music embraces influences from hip-hop, salsa, dancehall, cumbia, samba, and funk. On Friday evening, the museum’s Mitsitam Native Foods Cafe will offer an a la carte menu from 5 pm to 6:30 pm before the 7 pm screening of Watershed: Exploring a New Water Ethic for the New West in the Rasmuson Theater. Narrated by Robert Redford, the film highlights the lives and thoughts of six individuals living and working in the Colorado River basin and examines the issue of balancing the interests and rights of cities, agriculture, the environment, and Native communities when it comes to water rights. 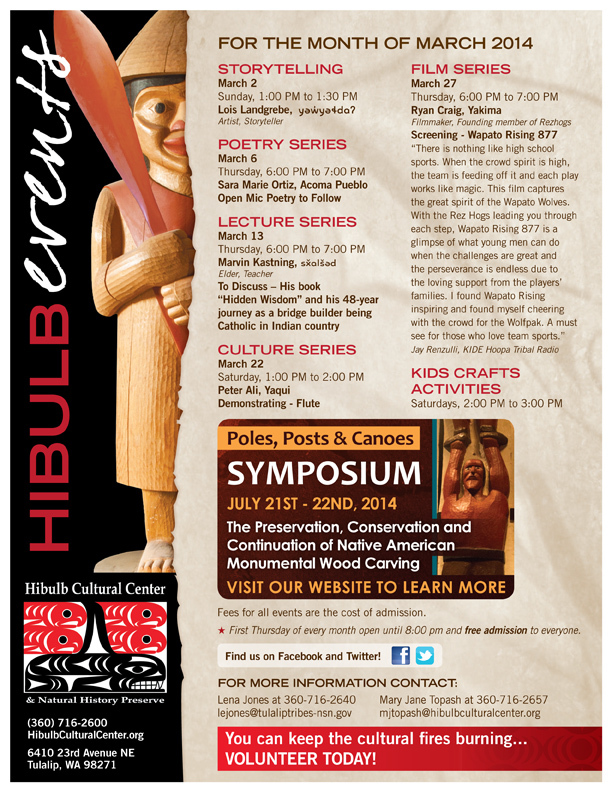 The screening is free, but registration through the NMAI website, is required. Registration does not ensure a seat; seating is on a first come, first served basis. Limited walk up seats will be available on the night of the show. On Sunday from 10 pm to pm, a farmers market will be open on the museum’s outdoor Welcome Plaza. Local produce and game will be available from Common Good, Coonridge Organic Cheese Farm, Chuck’s Butcher Shop, and more. On Saturday at 2 pm, Tribal ecoAmbassadors will host a discussion in the Rasmuson Theater on the roles of Native professors and students in addressing environmental issues with a focus on work toward local solutions to preserve public health, reduce carbon footprints, and increase sustainability. 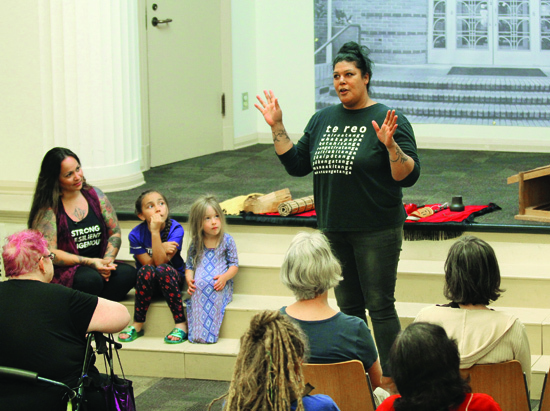 On Friday at 1 pm and 2 pm and Saturday and Sunday at 11 am, 1 pm and 2 pm in the imagiNATIONS Activity Center, Muscogee Creek artist Lisan Tiger Blaire is hosting a sculpture workshop. Free tickets are available at the Activity Center. The workshops are first come, first served.